I read there is a Jewish tradition to make a challah in the shape of a key for the first Shabbat after Passover. I considered it, but didn`t make a key shape this time. I made challah cakes with raisins instead. It was an inspiration from the Haftarah readings for this past week, where King David gave raisin cakes and bread to all of Israel, after he rejoiced and danced with all His might for the Ark of the Covenant was returned safely to the City of David, amid rejoicing. 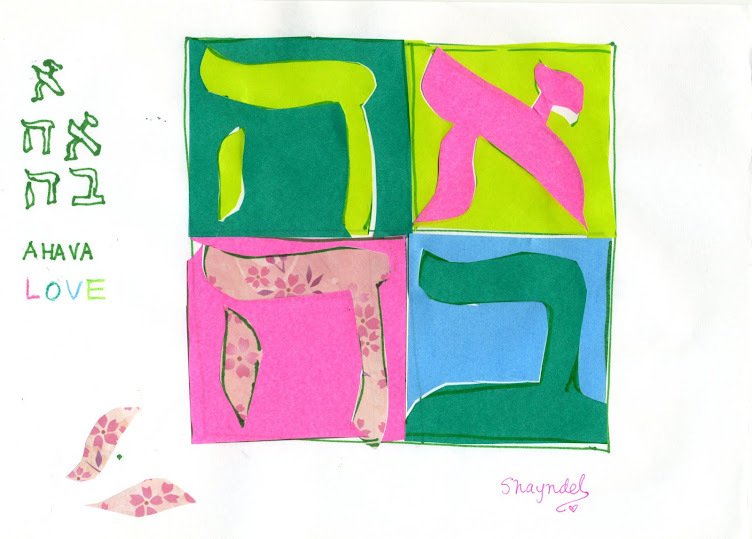 That verse spoke to my challah-making heart when I read it in the week`s readings. Plus I love that passage about King David dancing with all his might, in unashamed rejoicing of the LORD God of Israel! It spoke to my worshiping heart. This is one of my favorite Haftarah portions. I made extra portions of raisin challah and gave them to friends and neighbors. It was a way to rejoice and share the joy of the LORD with others. Celebrating with sharing Challah is a great way to enter into a new season and to praise God for the Bread of Life that He has given us in Yeshua, our Salvation. May we dance and rejoice in our Maker and in wonderful plan for Salvation!! In un-abashed praise! The Torah reading and this part in 2 Samuel also talk about obedience, dis-obedience, and the laws of cleanliness and of kahrut (kosher). We see where both of Aaron's sons were struck down in the reading in this week in Leviticus for their "unauthorized fire"; and we also read in the Haftarah portion where one of the ark carriers was struck down by the LORD for his discretions. Surely obedience to the LORD is "key". PS while I am making the challah for today's Shabbat, writing this post inspired me to search for some fun songs related to David Dancing, and I found some fun ones here (an Israeli dance flash mob) and here (Dance like David Danced, somthing I "stumbled upon" by Duke Ellington , here (David Danced by Joshua Aaron) and if you got this far, here (me , like Miriam danced! ), if you have your dancing shoes ready, or not, enjoy! I love all your photos and your challah bread with raisins. The story of King David took me back many years to when I saw him dance through the magic of film. It was in the movie called "King David" featuring Richard Gere. The pink colour in your last few posts reminds me of the sakura blossoms and of the fact that Spring will soon be here. Blessings to you and shabbat shalom. Thank you Joyful. I didn`t know about the movie with Richard Gere! I clicked on and watched the scene!! Raisins go well with everything. I like your love for making, sharing, and celebrating (praising, dancing, rejoicing) with challa. Thank you Duta for your sweet and encouraging comment! "When the Spirit of the Lord moves upon my heart, I will dance like David danced..."
I get excited when I think of David's example dancing before the Lord. What an offering that must have been. We, too, please Him when we worship passionately. Love your spirit, Shayndel, and your obedience to share. God bless you richly! Can't wait to hear the music sites! I love Israeli music. ♡♡♡、just some extra hearts and love to all , so blessed by your stopping by and reading, thank you for your kind words and sharing. Challah Diary PS and one to Send!